If you are looking for an insurance quote, you’ve come to the right place. Voyager offers a wide range of policies, direct to the public. Click on the links shown below to go straight to the product websites where you can get a quote and read the policy wordings. 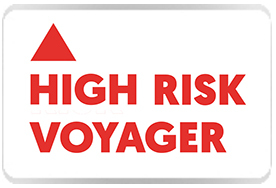 High Risk Voyager Travel Insurance has been designed specifically for those heading to dangerous locations, that would not typically be covered under regular travel insurance policies. Voyager has launched a range of products designed specifically for Individuals or Groups who plan to travel to high risk locations. Voyager’s Responsible long stay travel insurance policy gives you cover for up to 18 months, so it can be ideal if you’re a backpacker, or if you’re planning a GAP year or sabbatical. Dreamsaver Wedding insurance provides couples with affordable peace of mind and financial cover in the event of cancellation and other losses – both on the wedding day and during the run-up to the big event, too. With Voyager to Europe Breakdown Cover you can have peace of mind that if your car breaks down on holiday you will have emergency roadside assistance or if your car cannot be fixed, recovered to a local garage. With Voyager Insurance’s UK Breakdown cover you can have peace of mind that in the event of a car breakdown you will be able to get roadside assistance and relay service (depending on the level of cover you purchase), to get you to where you are going as soon as possible. 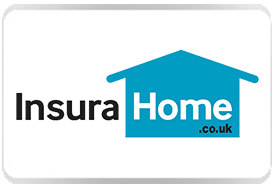 InsuraHome provides specialist Home Insurance Products, for those who have been turned away from mainstream home insurance providers due to property type, tenancy type or other challenging circumstances. 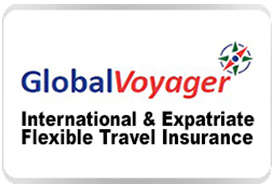 International & Expatriate Flexible Travel & Medical Insurance. 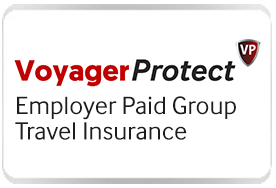 VoyagerProtect is an Employer Paid, Employee & Group, Annual Multi-Trip Travel Insurance Plan. Cover is for both Business and Leisure, and can be extended to cover employees families also. Able2Travel is a caring and sensitive travel insurance solution for people with medical conditions. Party Insurance has been specially designed for private parties and covers cancellation, as well as public liability & financial failure of any service provider. Asian Wedding Insurance covers up to 6 events (including celebrations, ceremonies and receptions) over a period of 94 days and can be taken out 2 years before the actual wedding ceremony. Motorcycle Voyager is a travel insurance product specifically for those planning on taking their motorbike on their trip with them. Voyager’s Car Hire Insurance offers a more extensive alternative to the Super Collision Damage Waiver (Super CDW) offered by many hire car companies to remove this excess. FreshStart Insurance is a home and contents policy for people who may be experiencing difficulty finding cover due to an unspent criminal conviction. Copyright 2017 Voyager Insurance Services Ltd.